In this day and age, flowers are no longer mere centerpieces used to enliven a space. Moving beyond decorative purposes, these artful blooms also possess healing qualities that can aid with various ailments. 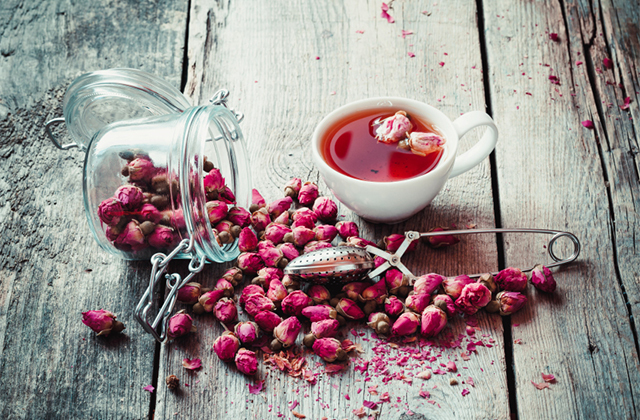 One of the best ways to ingest flowers is by enjoying them in a cup of tea. Before you start steeping your lilies in hot water, do note that not all flowers are edible or for that matter, palatable. 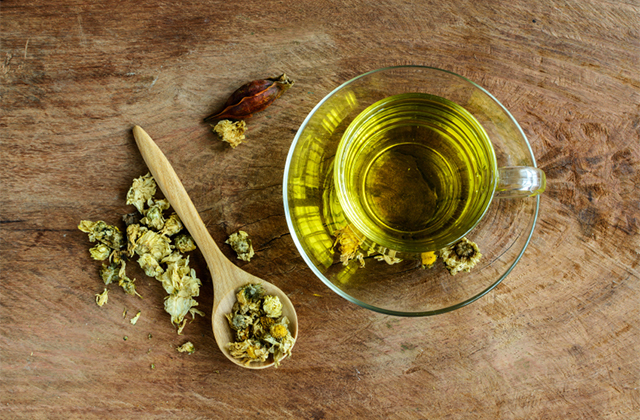 Below, we've rounded up four different flowering teas that not only brew a fragrant late afternoon cuppa, but lend your body a healthy boost. We know that roses have the most wonderful scent and a commanding presence, but few are aware of the great benefits it harbours. 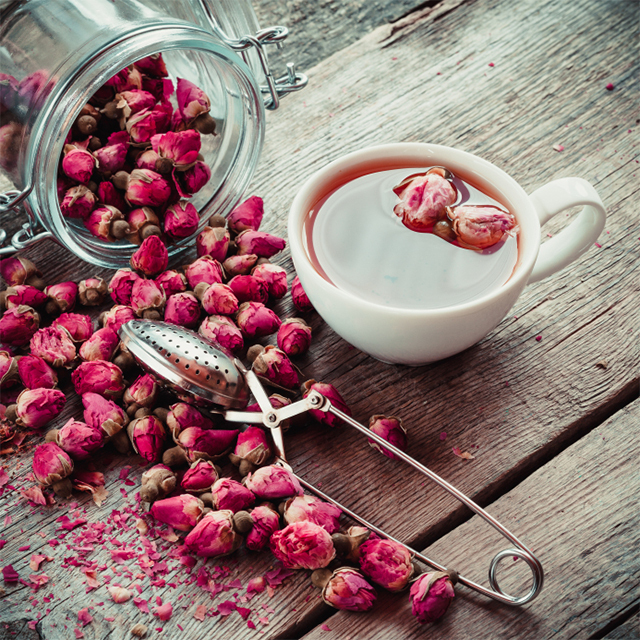 Rose tea helps to improve digestion, boost metabolism, and prime your body to burn more calories. Perfect for those looking to shed some weight. Small and seemingly unattractive dried buds of lilies do in fact possess a large range of useful properties to eliminate various health problems. It is believed that the tea of red lilies can prevent a cold from developing past its early stages. When you feel a cold setting in, sip on a cup of red lily tea — it'll remove the initial chill and warm you up. Moreover, the tea's subtle and refined fragrance has a calming effect on stressed minds. Chrysanthemum tea has been drunk for more than 3,000 years. It helps to stabilise blood pressure, improve vitality, and strengthen the body thanks to its anti-inflammatory and bactericidal properties. Those suffering from infectious or inflammatory conditions will find this tea especially useful. China is the historical homeland of the osmanthus flower. Today, the most common species of osmanthus can be found in tropical areas of many Asian countries. Thanks to its special composition, this flower has long held pride of place in China for the Chinese actively use it in cooking and medicine. It charges the body with energy and vigour, and can also be used for prophylactic and therapeutic purposes. In addition to invigorating and restorative properties, this tea has a pronounced anti-sclerotic and antiseptic effect.